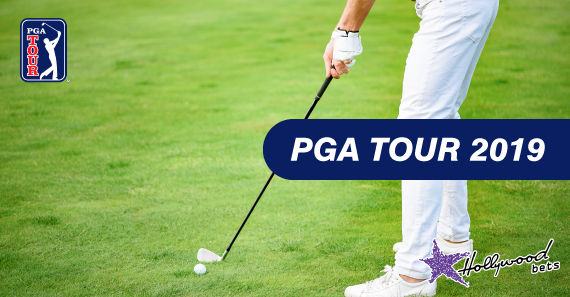 Our golf expert previews the Genesis Open taking place at Riviera Country Club between 14 and 17 February 2019. The final stop of the West Coast Swing sees the tour move three hundred miles from the California Coast to Los Angeles. This event started way back in 1926 and was originally known as the Los Angeles Open. Riviera is an iconic venue that has always been embraced by the crème de le crème of the game. Of the 56 renewals at Riviera, 33 champions have won Major Championships. The course form is even more striking when condensing it to Augusta. And an amazing field has assembled for this week’s event. Justin Rose and Brooks Koepka - the world’s top two ranked players - are the only players outside the top 7 not in attendance. Outside of that, the likes of Rory McIlroy and Tiger Woods make this a potentially mouth-watering affair. Riviera is traditionally seen as one of the most challenging courses on the PGA Tour. At over 7,300 yards, Riviera is a long par 71 that has extremely penal kikuyu rough. Perhaps the most challenging aspect of Riviera are the greens. They are relatively small and a hybrid of bentgrass and Poa. They usually run at 12 on the stimp and quite accurately replicate the conditions found at Augusta. Stats tend to suggest that driving distance is probably more pertinent than accuracy, though finding the greens is the most critical aspect of conquering this course. Riviera represented the toughest stop on tour last year in terms of finding the greens. Dustin Johnson is a former champion and makes sense leading the markets. He was brilliant a fortnight ago in Saudi Arabia and has the power to minimize the travails of Riviera. Course specialists such as Bubba Watson and Phil Mickelson will clearly be a factor while the Tiger Woods extravaganza will be in full swing. Bryson DeChambeau has been in exceptional form this year while Rahm and McIlroy will lead the European charge. Young Aussie, Cameron Smith, is one of the most exciting young prospects on tour. He erupted onto the scene with an astonishing tie for 4th in the 2015 US Open. Smith has started the season in decent style, picking up three top 25 finishes thus far. That included victory in the Aussie PGA Championship. Smith was in contention here last season after a 3rd round 65, but he couldn’t quite replicate that magic in the final round. Perhaps what’s more intriguing about Smith is his performance at Augusta last season. He flirted with contention en route to a brilliant tie for 5th. Smith looked masterful on the greens and should come to Riviera with a great deal of more maturity. Charles Howell III will feel relieved to have finally earned his spot back at Augusta following his RSM Classic victory in November. Howell III has just the sort of classically woven game that should really thrive at Augusta. He led the field in GIR at Torrey Pines, which should prove to be a critical stat this weekend. Howell III claimed his 2nd PGA Tour title here 12 years ago. He also lost in a play-off here prior to that victory. Howell III should feel emboldened by his recent success. He also has family here in Beverly Hills, which should add that slight bit of extra motivation. Bubba Watson is a course specialist if there ever was one. Watson has won this event on three occasions, not to mention four other top 20 finishes. Furthermore, Watson is a two-time Augusta champion who perfectly embodies the correlations between the two courses. Bubba's experienced a real resurgence last season, picking up three victories to secure his Ryder Cup status. The defending champion has also started the year well, with a tie for 4th at TPC Scottsdale. The 12 time PGA Champion tends to earmark courses and Riviera fits his eye perfectly.